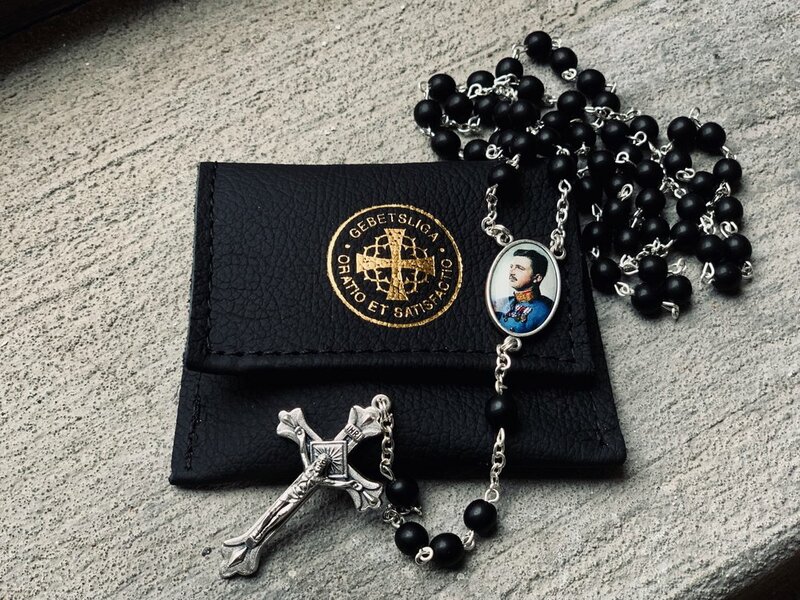 The Emperor Karl League of Prayer U.S.A. and Canada is pleased to announce the release of the official Gebetsliga Rosary. The Gebetsliga Rosary and accompanying case were designed by U.S.A. and Canadian League Webmaster and Designer, Mr. Jordan Hainsey. Made in Italy, each rosary is fashioned with black satin crystal beads and brass hardware finished in a silver patina. The Rosary’s centerpiece features the iconic image of Blessed Karl from his Beatification in 2004, while the obverse displays the Gebestliga coat of arms. Each Rosary comes in a handmade Italian leather case that is foil-embossed with the Gebestliga coat of arms. Blessed Karl lived in a state of interior prayer despite the heavy responsibilities and obstacles as Emperor and King. Even in the worst of times, he exuded a deep serenity, leading one witness to testify: “His face and his whole being seemed to say, ‘Thy Will be done.’” He prayed before every meeting and every decision. His day began with Holy Mass, and always included the Rosary, even one time when Zita had to interrupt him 15 minutes before midnight during an important meeting in order for him to say it. Tenderly devoted to Our Lady from childhood, Blessed Karl entrusted his marriage to her protection. He was known to completely wear out Rosary beads from praying so many Rosaries on the front. 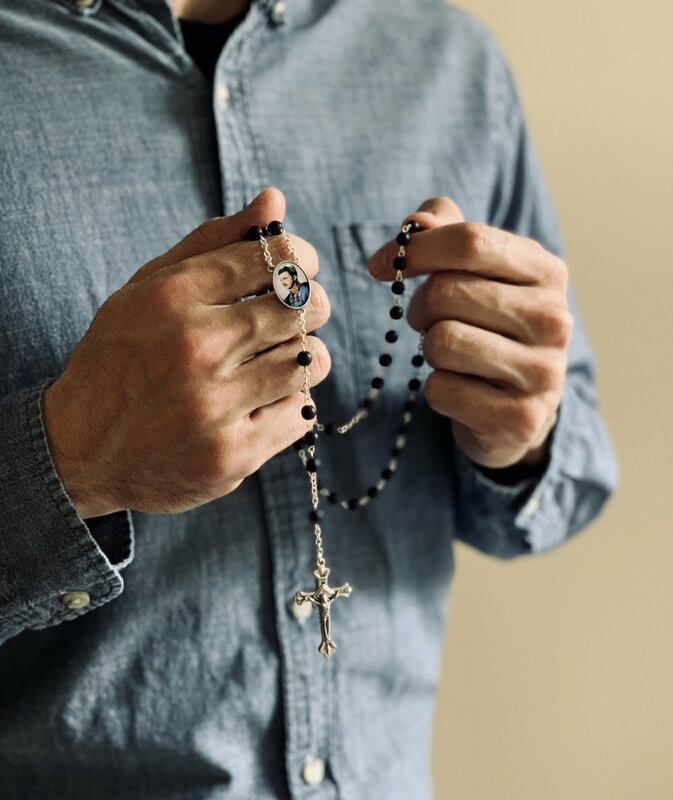 Perfect for men and women alike, the Gebetsliga Rosary is the ideal companion for members of The League of Prayer and those seeking to cultivate devotion to Our Lady and Blessed Karl of Austria. The official Gebetsliga Rosary is available in our online store by clicking the link below.